Basic ingredients: The cookery school is an offshoot of Flip Woods and Hoops Anderson’s impressive catering outfit based near Hemel Hempstead. Classes take place in a purpose-built barn kitchen and include Global Street Food, French Brasserie and half-term courses for kids. 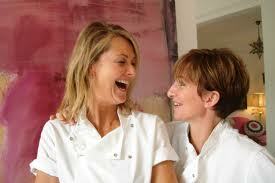 They say: Every month we run classes and demonstrations that are fun, relaxed and full of fresh ingredients. We end each session eating all the fruits of our labour in our beautiful dining room. We say: This is a stylish set-up with contemporary menus. Flip and Hoops make a winning combination complete with an interesting track record in food.